Basic Airway Management Course for Dentists: Changes to Anesthesia Rules is organized by University of Florida (UF) and will be held on Apr 26, 2019 at University of Florida, Gainesville, Florida, United States of America. Additional details will be posted as soon as they are available. Local Anesthesia for Today's Dental Hygienist: Certification Course is organized by University of Florida (UF) and will be held from Jun 07- 09, 2019 at University of Florida, Gainesville, Florida, United States of America. Additional details will be posted as soon as they are available. 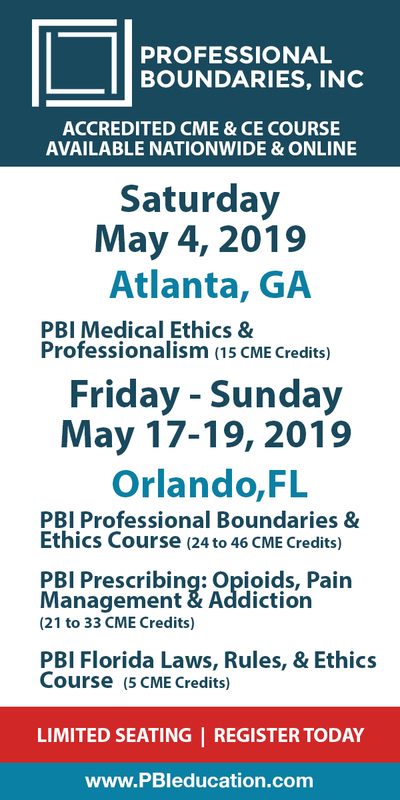 Myofascial Cupping Practitioner Certification Course is organized by PESI HealthCare and will be held on Jun 18, 2019 at DoubleTree by Best Western Gateway Grand Hotel and Conference Center, Gainesville, Florida, United States of America. Target Audience • Physical Therapists/ PTAs • Occupational Therapists/OTAs • Athletic Trainers • Massage Therapists • Personal Trainers Course Description: Become a Certified Myofascial Cupping Practitioner in this hands-on course powered by RockTape, and boost your credentials as you learn everything you need to know to offer cupping services the next day. Myofascial Cupping Practitioner Certification teaches the fundamentals of modern cupping techniques through a full day of interactive labs. Learn how to combine cupping and functional movement to produce the kinds of active treatment strategies that are revolutionizing rehab. Discover effective cupping treatments you can use for pain, sprains/strains, swelling, tendinopathies, and more. Objectives: • Review the principles of myofascial cupping and supporting evidence. • Describe the physiological and neurological effects of cupping. • Demonstrate how to apply cupping for best results. • Compare and contrast common cupping techniques and review indications/contraindications for each. • Demonstrate how cupping techniques can be combined with corrective exercise to improve pain, sprains/strains, swelling, tendinopathies, and more. • Develop cupping applications based on your assessment/treatment approach and the individual needs of your patient. Additional details will be posted as soon as they are available. Pediatric Dentistry Practicum is organized by University of Florida (UF) and will be held from Jul 19 - 20, 2019 at University of Florida, Gainesville, Florida, United States of America. Additional details will be posted as soon as they are available. Fundamental of Dental Assisting is organized by University of Florida (UF) and will be held from Jul 20 - 21, 2019 at University of Florida, Gainesville, Florida, United States of America. 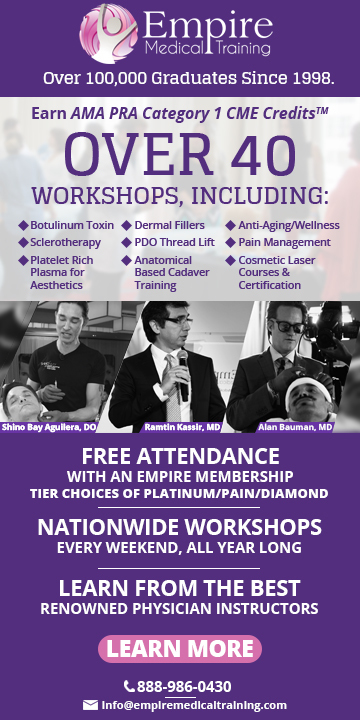 The target audience for this medical event is Dentist, Dental Assistance. Additional details will be posted as soon as they are available. The Program for Distressed Physicians is organized by University of Florida (UF) College of Medicine and will be held from Aug 14 - 16, 2019 at UF Health Springhill 2, Gainesville, Florida, United States of America. This CME Conference has been approved for a maximum of 47.5 AMA PRA Category 1 Credits™. Target Audience: Physicians Description: The Program for Distressed Physicians is a three-day CME course (with three additional 1-day follow-up sessions) developed to address the specific needs of physicians whose workplace behavior has become problematic. This course combines didactic presentations, role-play with focused feedback, group feedback from peers and colleagues, plus review of workplace/family complaints. Participants will receive training in alternative behaviors and explore cognitive distortions that relate to their problems. The course will focus on the problems identified by specific complaints. The solutions are reinforced by role-play, feedback, testing, and group accountability. This three day course includes components examining: • Teach new skills in the recognition and expression of emotions that lead to disruptive behavior. • Provide a syllabus of selected readings and resources for the distressed physician. • Teach the range of disruptive behavior. • Provide strategies for the prevention of inappropriate behavior. • Provide follow-up and support in maintaining behavior changes. • Evaluate the effectiveness of the course based on feedback from the workplace monitoring system. Objectives Upon the completion of this program, the participant should be able to: • Know and understand the issues around disruptive behavior and promote prevention treatment of physicians. • Discuss healthy boundaries and appropriate expression of emotions among staff colleagues and patients. • Identify the risk factors and development of the distressed physician. • Understand the socialization of physicians and medical school and residency that contribute to maladaptive behavior patterns. • Identify family or origin issues that may contribute to behavior problems. • Identify personal risk factors by completing assessment instruments. • Identify relapse prevention strategies. • Discuss disruptive behavior from the viewpoint of staff, patients, colleagues, and administrators. Local Anesthesia for Today's Dental Hygienist: Certification Course is organized by University of Florida (UF) and will be held from Sep 27 - 29, 2019 at University of Florida, Gainesville, Florida, United States of America. Additional details will be posted as soon as they are available. The Program for Distressed Physicians is organized by University of Florida (UF) College of Medicine and will be held from Oct 09 - 11, 2019 at UF Springhill Health Center, Gainesville, Florida, United States of America. This CME Conference has been approved for a maximum of 47.5 AMA PRA Category 1 Credits™. Target Audience: Physicians Description: The Program for Distressed Physicians is a three-day CME course (with three additional 1-day follow-up sessions) developed to address the specific needs of physicians whose workplace behavior has become problematic. This course combines didactic presentations, role-play with focused feedback, group feedback from peers and colleagues, plus review of workplace/family complaints. Participants will receive training in alternative behaviors and explore cognitive distortions that relate to their problems. The course will focus on the problems identified by specific complaints. The solutions are reinforced by role-play, feedback, testing, and group accountability. This three day course includes components examining: • Teach new skills in the recognition and expression of emotions that lead to disruptive behavior. • Provide a syllabus of selected readings and resources for the distressed physician. • Teach the range of disruptive behavior. • Provide strategies for the prevention of inappropriate behavior. • Provide follow-up and support in maintaining behavior changes. • Evaluate the effectiveness of the course based on feedback from the workplace monitoring system. Objectives: Upon the completion of this program, the participant should be able to: • Know and understand the issues around disruptive behavior and promote prevention treatment of physicians. • Discuss healthy boundaries and appropriate expression of emotions among staff colleagues and patients. • Identify the risk factors and development of the distressed physician. • Understand the socialization of physicians and medical school and residency that contribute to maladaptive behavior patterns. • Identify family or origin issues that may contribute to behavior problems. • Identify personal risk factors by completing assessment instruments. • Identify relapse prevention strategies. • Discuss disruptive behavior from the viewpoint of staff, patients, colleagues, and administrators. Expanded Functions for Dental Auxiliary is organized by University of Florida (UF) and will be held from Oct 19 - 20, 2019 at University of Florida, Gainesville, Florida, United States of America. Additional details will be posted as soon as they are available.